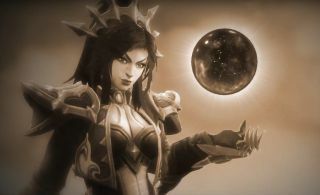 Li-Ming, the “rebellious wizard” and one of two Diablo-themed Heroes of the Storm characters announced last week, is now available for play on the Public Test Realm. She arrives as part of the next major patch, which also includes new portraits for Cho'gall, Artanis, Tassadar, and Zeratul, a new open source replay protocol, and a “mysterious creature” that may turn up at the beginning of PTR games. The patch makes numerous changes large and small, but the centerpiece is Li-Ming, who fires Magic Missiles and an Arcane Orb, can teleport short distances, and unleashes Disintegrate and Wave of Force attacks as her Heroic Abilities. But while she can dish out tremendous amounts of burst damage, she can take very little. A full breakdown of the new Heroes of the Storm patch can be found on Battle.net. It will be live on the PTR until February 1.